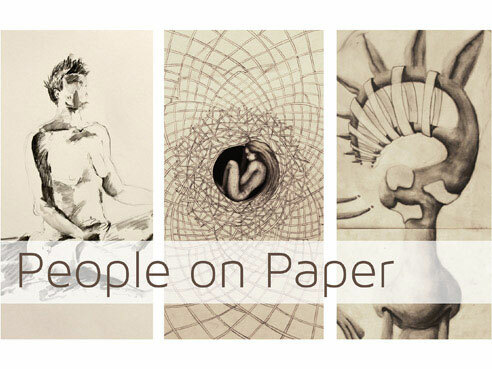 A one-night-only student art showcase, “People on Paper,” will be on exhibition from 6-8 p.m. Tuesday, Oct. 27, presented by the University of Alabama at Birmingham College of Arts and Sciences’ Department of Art and Art History. Students enrolled in the 2015 fall Figure Drawing course have spent the semester researching and creating projects that consider the human figure. Works in the showcase explore the undraped human figure, both male and female, and the multiple drawing techniques applied through the course of study. The showcase will also include conceptual projects that go beyond the typical depiction of a model in the studio by exploring the self along with aspects of the internal body. Adjunct professor Lanette Parker teaches the class. Participating students are Lucy Allen, Brandon Berry, Ashlee Boren, Annabelle DeCamillis, Tashee Dunsmore, Jonah Grice, Morgan Mahan, Ryan Meriwether, Carsen Newman, Sav Owen, Savannah Setzer, Tahla Tessier, Sarah Warren, Randi Wilson and Anna Zoladz. Project Space is an adaptive space that will provide an alternative platform for students, faculty and community to engage teaching, research, public service and visual art practices. New events have been planned there for fall 2015. For more information, contact Project Space director Jared Ragland at raglandj@uab.edu.